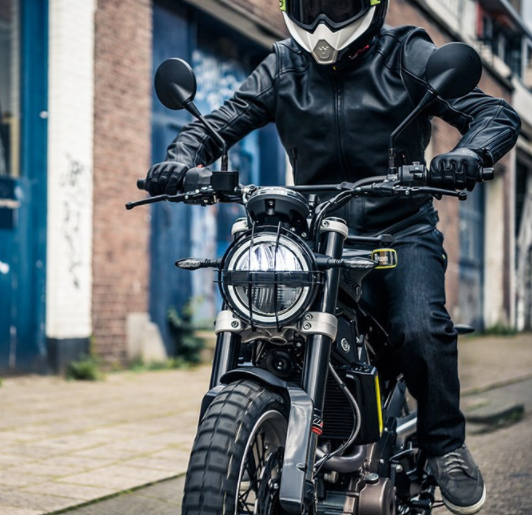 Home News Latest Motorbikes Would you buy a Swedish Svartpilen 401? From the country that brought you IKEA, Swedish motorcycling company aims to be more than a flat packed success with its Svartpilen 401. While all the well-known brands soak up in the spotlight, this small Swedish company has been quietly working behind the scenes. 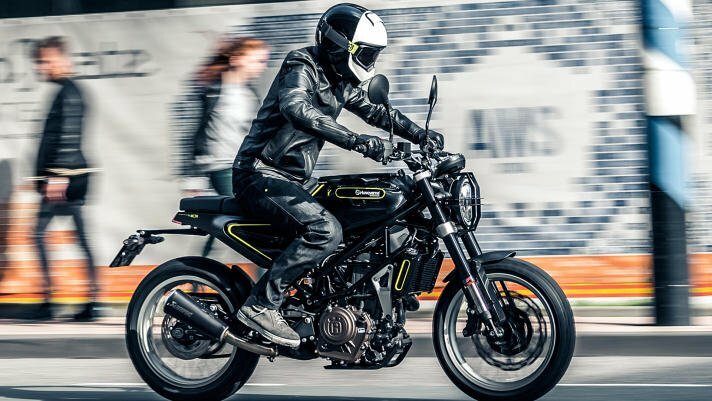 Lesser known brand Husqvarna has been silently slaving away creating some serious competition to Ducati’s scrambler. The result of which is a stunning cafe racer style machine that goes by the name of the Svartpilen 401. The Svartpilen 401 design is built on previous Husqvarna motorcycles but goes further by incorporating modern technology. The frame of the Svartpilen 401 is a chromium-steel trellis frame that’s been powder-coated in black. A single green thread runs through the frame giving it it’s cyber-tech characteristics. Husqvarna stated that the rear and front brakes are hydraulically operated by Bosch ABS making it very user-friendly. The cherry on the cake is, of course, the LED single round headlight, giving it a vintage cafe racer feel. Husqvarna has added a centralised digital round dial. This dial is a massive improvement as it allows riders to see how much petrol is left in the tank as well as allowing riders to view their bike’s mileage and engine diagnostics. All this without sacrificing it’s imagined. It is a critical improvement from its previous designs. 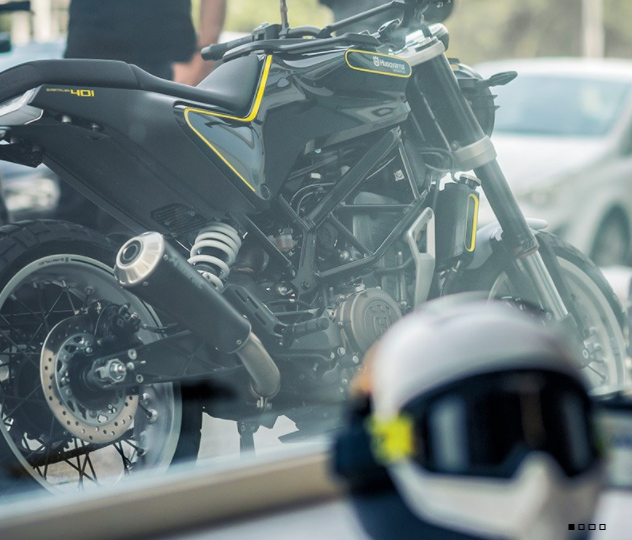 The look of the bike seems to balance the traditional cafe racer appearance with the vibes of a cyber-grom. You can not deny, it’s a classy sleek design and we absolutely love it. The bike itself doesn’t boast the most impressive stats. It comes with a single-cylinder, four stroke, 373-ccm engine and six rider friendly gears. The bike has 43 horsepower under the control of a ride-by-wire throttle and slipper clutch. When you look at other bikes on the market, the Svartpilen 401 isn’t the most powerful machine available. However, we think that considering that the motorcycle is designed with beginners in mind, it is the perfect bike for those who want a less powerful machine. We believe that the Svartpilen has the potential to dominate the entry-level market by making the classic cafe racer look accessible to beginner riders. The fun doesn’t stop there. The bike comes with a quieter engine, modular gas tank and a beautiful flat, leather-clad single seat. However, the Svartpilen 401 engine wasn’t designed for high speeds and motorways. While designing the bike, Husqvarna focused more on the bike’s functionality than on its speed capabilities. For example, it performs great on cobbled streets and potholes. This is because they designed the bike in a way to make it urban friendly. We think it would certainly serve well for the all-weather commuters. However, It’s not to say that the bikes limits won’t be pushed, we’re just certain it will happen in other ways. The steering head comes with 25 degrees of rake for 3.74 inches of trail. On top of this, it’s 53.4 inches wheelbase means one tight turning radius. Perfect for manoeuvres, tight traffic and having a little bit of fun. This may be the only bike on the market where traffic excites you! The Svartpilen is a beautiful machine with fantastic features. However, one critical question remains: how much will it set you back? It’s currently retailing in the UK at £5,599 and in the US at $6,299. However, cafe racers motorcycles aren’t famous for being budget bikes. Something we can all agree on is that you get a lot of bike, both power and visually, for your money. It’s a very amazing deal from a fantastic company. Who are Husqvarna and why is this bike a big deal? Husqvarna isn’t a name that rolls off the tongue easily, or frequently. The company made it big after World War 2 by producing a wide variety of well-made dirt bikes. The bikes followed it’s Swedish heritage using simple and stylish designs. The release of its Svartpilen 401 bike makes the start of an era for the company. Traditionally, road bikes were simply something that the company didn’t really focus upon. It’s clear that production has shifted to the company. We’re personally very excited to see where the company will head in the future and what other bikes they will release. One thing is for certain, the Svartpilen is a beautiful bike with a unique design and a great place for the company’s road production journey to begin.